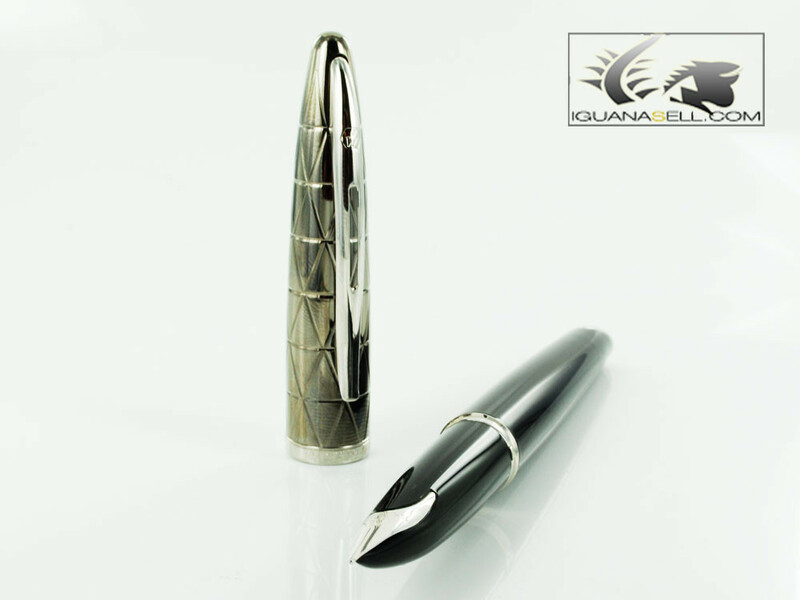 Iguana Sell Pens | Waterman Carène Contemporary Gun Metal & Black – A great looking pen! Waterman Carène Contemporary Gun Metal & Black – A great looking pen! 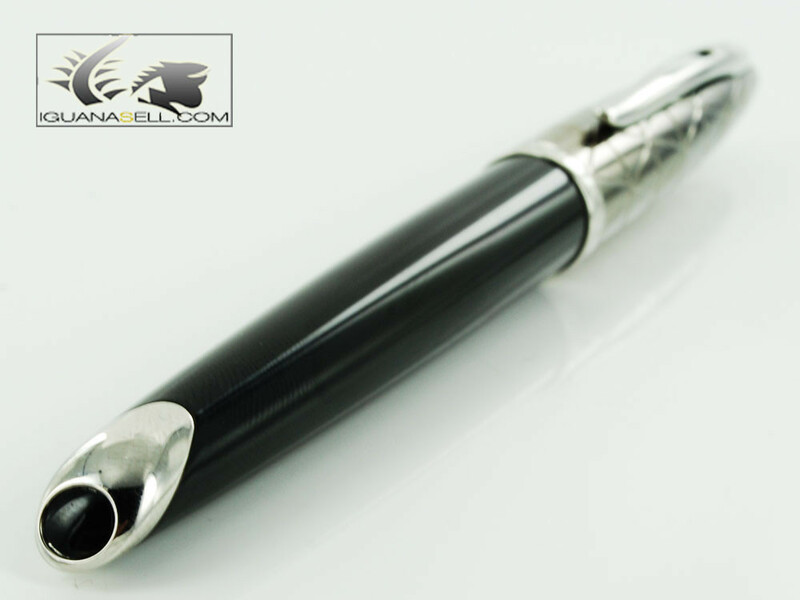 The Waterman Carène Contemporary Gun Metal and Black lacquer pen is a pen that comes in a latest fashion design. A smooth lacquered barrel, with soft, delicate forms and high quality materials. Waterman has always boasted a sense of fashion that meets the expectations of a French made and designed pen, but this line exceeds anything imaginable. The grace and style in the design is undeniable, as well as the modern look and details. The nice Waterman nib, characterized by its different form, fits into the body giving the impression of one solid piece. A sturdy and resistant fountain pen finished with a keen sense of aesthetics. 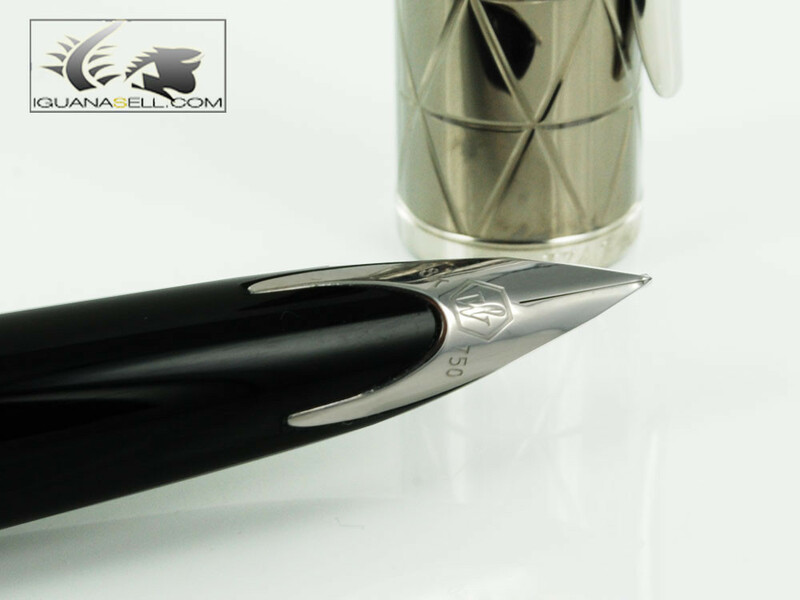 The barrel of this particular design is finished in gun metal, and presents a design of crossing lines engraved along the cap. 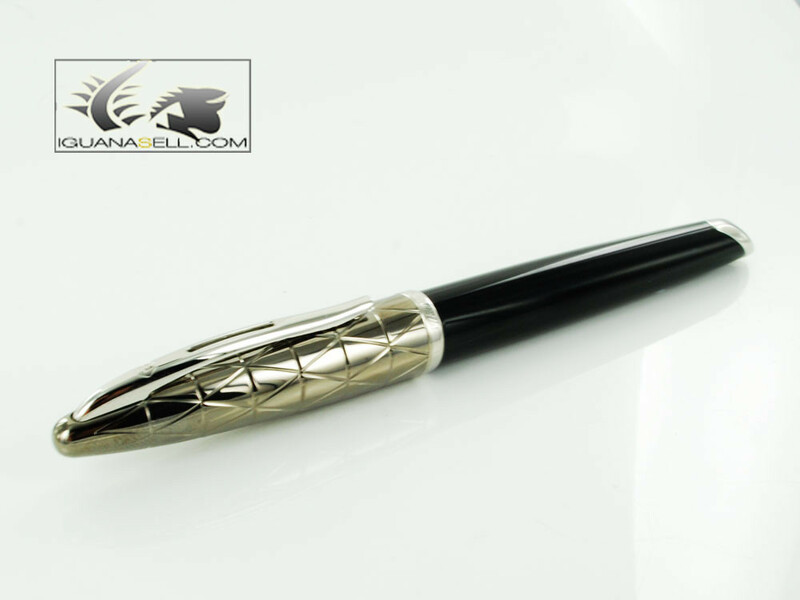 The presence of this pen is welcome on the desk of any modern soul, as it inspires leadership and success! The nib is made of 18K gold and completely rhodium plated, keeping in line with the tones of this beautiful fountain pen. The pen is perfectly balanced for a comfortable writing, and the cap can be posted on the back of the pen to prevent it from rolling when it’s not being used. 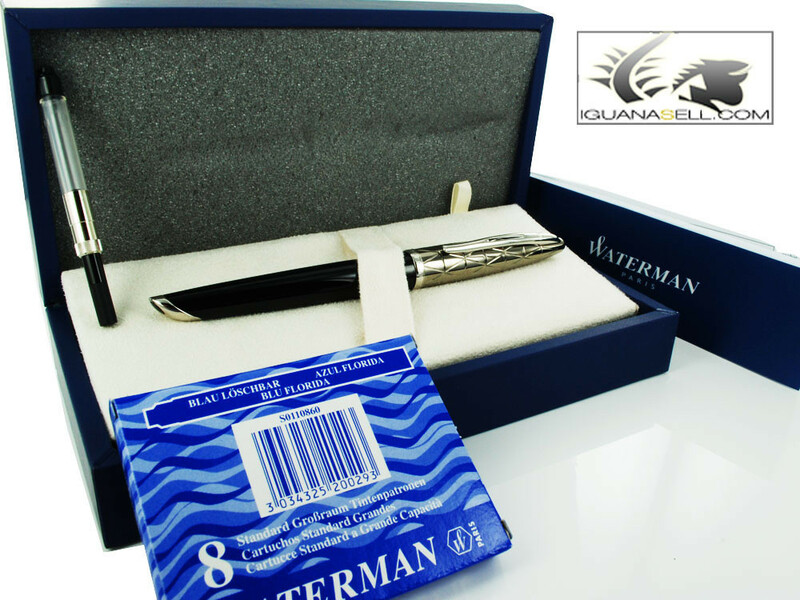 This beautiful pen is now available at Iguana Sell along with many other Waterman pens! If you’re interested, please contact us! OMAS visit today at Iguana Sell new storeshop in Madrid! 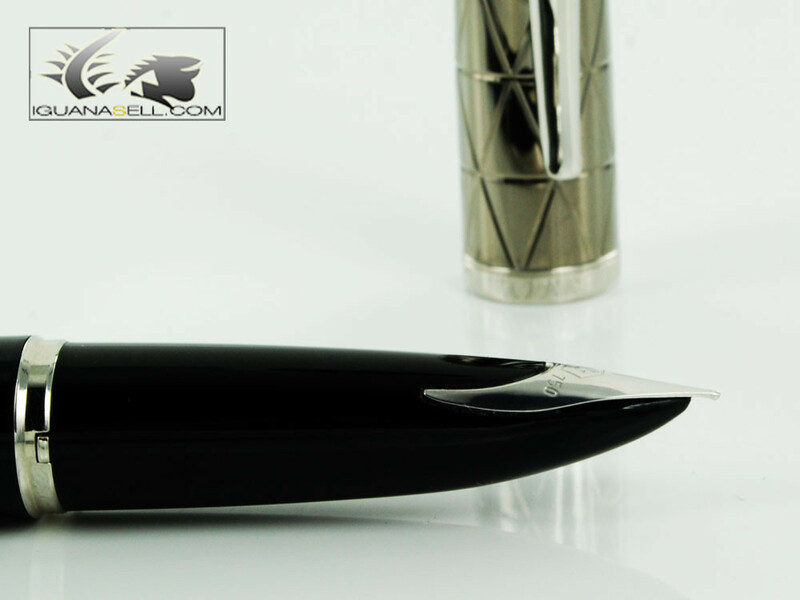 OMAS philosophy…and writing pleasure.Porsche Design Fountain Pen in Solid Titanium – All in one piece!